The Global Painting Robots Market size is expected to reach $3,209.0 million in 2023, from $1,614.0 million in 2016, growing at a CAGR of 10.4% from 2017 to 2023. Painting robots are industrial robots programmed to apply paint on an object in an efficient way. Kawasaki Robotics, ABB, Fanuc, Yaskawa, Kuka Robotics, and Durr Systems are some of the leading key players of the painting robots market. The increase in demand in automotive industry majorly drives the painting robots market, as these robots defeat the requirement of highly skilled painters eliminating the risks of leaving behind paint drips, inconsistency, and overspray. Higher rate of accuracy in painting of large components within optimized time is possible due to reliability, capability, and precision of the program. This in turn boosts the demand for painting robots. However, high product and installation cost is expected to hamper the market growth. The painting robots market is segmented into type, application, end user, and region. By type, it is categorized into floor-mounted painting robots, wall-mounted painting robots, rail-mounted painting robots, and others. In 2016, floor-mounted painting robots segment dominated the global market, in terms of revenue, and is expected to maintain this trend throughout the coming years. Based on application, it is classified into interior painting and exterior painting. Interior painting is anticipated to dominate the global painting robot market throughout the forecast period. The end-user industry is divided into automotive, aerospace, construction, and others. In 2016, automotive segment accounted for the highest market share due to increased demand for automotive industry and is expected to dominate the market during the forecast period. Based on region, the market is analyzed across North America, Europe, Asia-Pacific, and LAMEA. In 2016, Asia-Pacific was the highest contributor to painting robots market and is anticipated to secure the leading position during the forecast period, due to extensive demand and strong manufacturing base of automotive sector. Competitive analysis and profiles of the major painting robots market players, such as Kawasaki Robotics, ABB, Durr Systems, Fanuc, Yaskawa, Kuka Robotics, CMA Robotics, Staubli, Epistolio S.r.l, and Krautzberger are provided in this report. 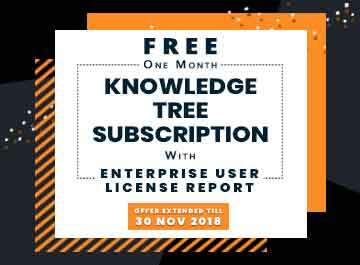 Product launch, acquisition, and collaboration were the different key strategies adopted by key players from 2015 to 2017to establish themselves in the market. The report provides an extensive analysis of the current and emerging trends and dynamics in the global painting robots market. Painting robots are widely used for painting or coating efficiently on interior or exterior parts or equipment. Therefore, these robots are majorly used in the automotive, aerospace, construction, and machinery industries. The robots are workplace safe as they are developed using explosion proof arm and these robots can paint the desired area within the optimized time with reduced requirement of workers. These factors result in an increase in demand for painting robots in the automotive industry. Furthermore, the painting robots apply paints and coating equally on every part, which reduces the expenditure on materials and wastage. The market players focus on developing new products to achieve high efficiency and performance. For instance, Yaskawa Motoman introduced two new high-speed painting robots-MPX1150 and MPX2600 for the automotive industry. These newly introduced 6 axis robots create smooth, consistent finishes for painting and dispensing applications. Painting robots are used for painting or spraying paints and coatings in different industries. Asia-Pacific secured the highest share in the painting robots market in the past years and is expected to dominate the market during the forecast period, owing to rapid urbanization, presence of emerging economies, and increase in manufacturing and construction activities in the automotive & commercial sectors. 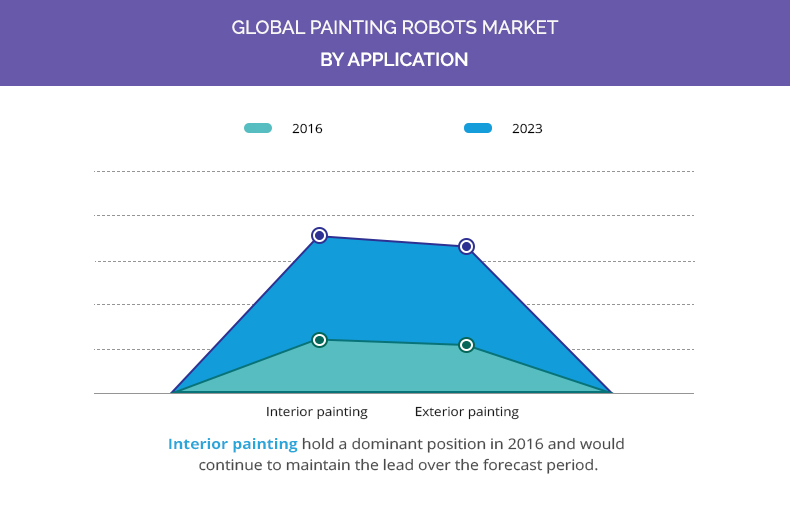 Key players in the global painting robots market include Kawasaki Robotics, ABB, Durr Systems, Fanuc, Yaskawa, Kuka Robotics, CMA Robotics, Staubli, Epistolio S.r.l, and Krautzberger. Market players adopt product launch as their key developmental strategy to keep pace with the demands of end users. Acquisitions and expansions are the other strategies adopted by market players to expand their offerings and boost their production processes. These strategies also help companies to develop efficient products as well as expand their sales across different geographies.